Systemic sclerosis is a disorder of the small arteries, resulting in proliferation of fibrosis affecting the skin and multiple end organs. There are two subtypes of systemic sclerosis, diffuse and limited cutaneous. Diffuse cutaneous systemic sclerosis is characterized by rapid progression with skin involvement proximal to the elbows and knees. There is usually the early onset of Raynaud's phenomenon and early visceral involvement. Limited cutaneous systemic sclerosis is characterized by a stable course and involvement limited to the skin of the face and extremities distal to the elbows and knees. The CREST (calcinosis, Raynaud's, esophageal dysmotility, sclerodactyly, and telangiectasias) variant is a form of the limited cutaneous subset. Esophageal symptoms occur in 50% to 80% of patients (14), making them the third most common symptoms after skin and Raynaud's phenomenon. 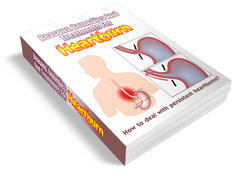 Typical symptoms include heartburn in up to three-fourths of patients and dysphagia in up to one-half of patients. Esophageal involvement is not correlated with skin symptoms, age of onset, duration of symptoms, or presence of Raynaud's. Patients with diffuse cutaneous systemic sclerosis tend to have worse symptoms. The pathophysiology of systemic sclerosis is one of arteriolar sclerosis and a resultant patchy muscle atrophy and fibrosis. There also appears to be neural dysfunction that often precedes the smooth-muscle fibrosis. This eventually leads to a fibrotic, aperistaltic esophagus. The proximal striated muscle of the esophagus is uninvolved (15). The most reliable diagnostic features of systemic sclerosis are manometric. Approximately 80% of patients will have a decreased amplitude of peristalsis in the distal esophagus as well as a decreased LES pressure. This is in distinction to primary achalasia, in which the LES pressure is elevated. Peristalsis in the proximal esophagus and UES pressures are preserved in systemic sclerosis. The treatment of systemic sclerosis is primarily symptomatic. 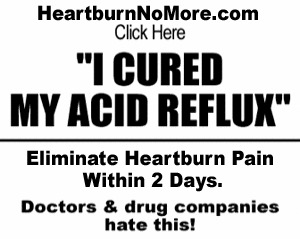 Proton pump inhibitors are very effective at reducing the incidence of erosive esophagitis and heartburn symptoms. The role of antireflux surgery is limited, considering the poor peristalsis in the distal esophagus.